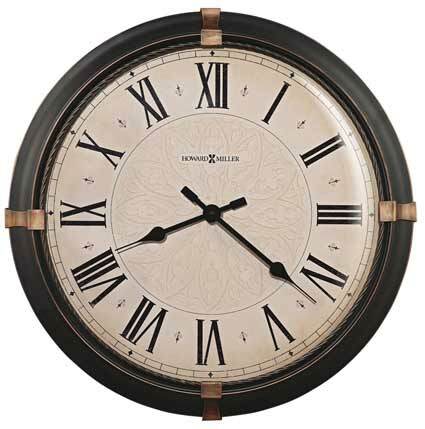 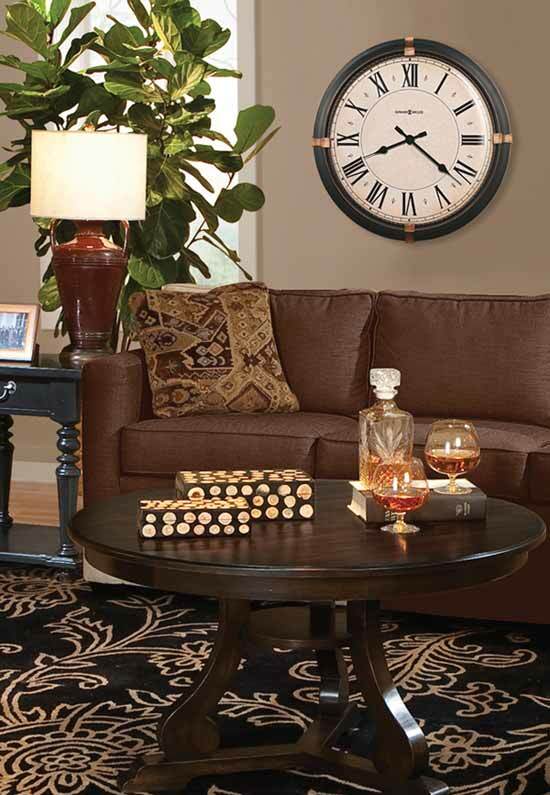 This 24" diameter metal gallery clock is finished in a dark rubbed bronze with aged bronze accents at the 3, 6, 9 and 12 positions. The aged dial features a subtle center pattern, aged black Roman numerals, black spade hour and minute hands and a deep convex glass crystal so glare will never be a problem near a window. 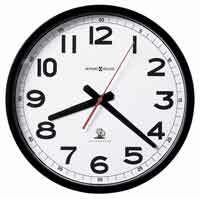 A twisted metal ring frames the dial. 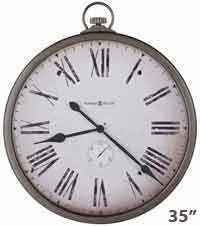 Quartz, battery operated movement. 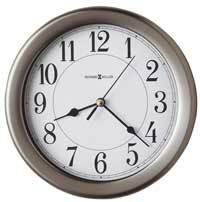 Clocks for sale at The Clock Depot including the 625-498 at discount prices.